A number of prizes can be won! 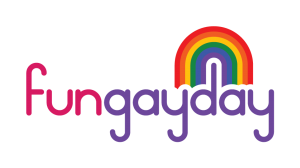 Raffle: a large number of great prizes will be raffled among participants with a FunGayDay ticket, such as a nights in a luxury hotel. Treasure hunt: during the day, a treasure hunt will be played – with a spectacular prize. Games: a number of games will be organized, such as a high heels race. Competition: for the participant with the most beautiful costume, a prize will be reserved. Goodie bag: finally, you will get a goodie bag with cool stuff. NB: prizes are only available for participants with the FunGayDay ticket, who are dressed in (something) red.